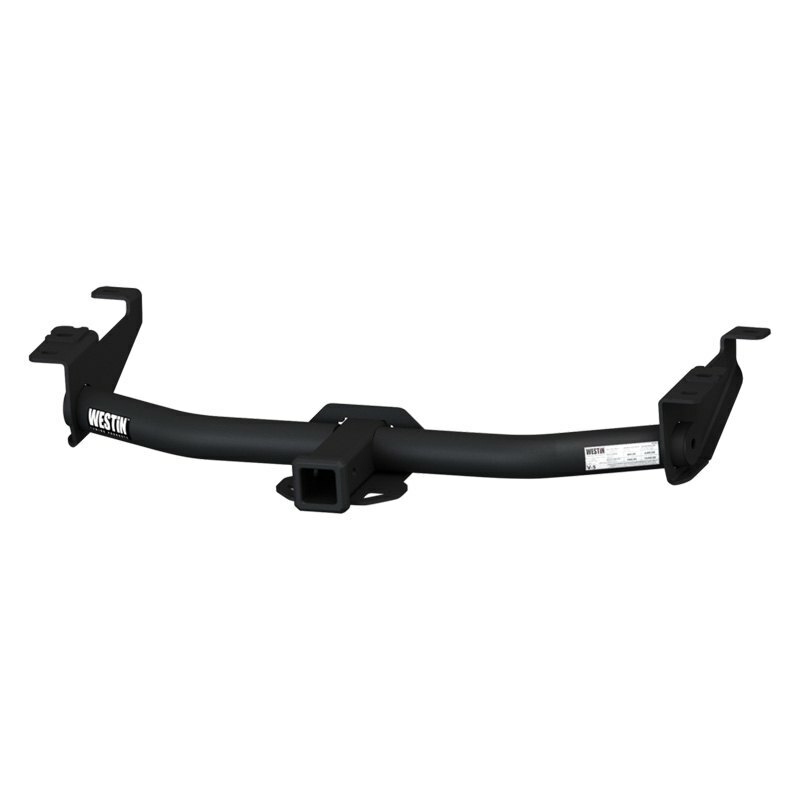 Class 3 Square Concealed Rear Trailer Hitch (65-1165) by Westin®. Color: Black. Three-year warranty. The Weight Carrying Capacity is 6000 lbs, while the Tongue Weight is 600 lbs, 10000/1000 Weight Capacity with use of Weight Distribution System, and the Receiver Tube Opening Size is 2″. Westin’s Receiver Hitches feature a round tube design, with some applications featuring a square tube design based on specific allowances or limitations. All feature a Westin quality textured black powder coat finish to match vehicle cladding and bumper trims. All hitches include a unique delta cut safety chain loop and a stylized forged steel collar. Hitches are made of a secure, 1-piece double welded through-bracket construction on both sides of the mounting brackets for peace of mind on the road. All through-bracket hitch tubes feature welded capped ends for a finished look.